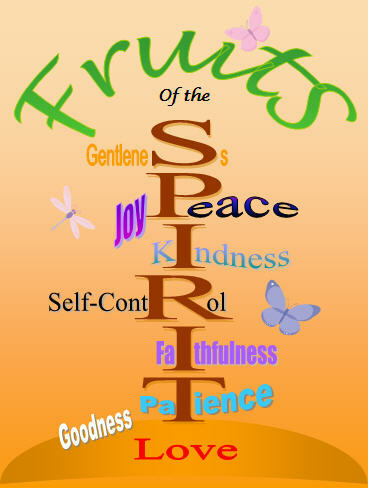 But the fruit of the Spirit is love, joy, peace, patience, kindness, goodness, faithfulness, gentleness, self-control; against such things there is no law. Now those who belong to Christ Jesus have crucified the flesh with its passions and desires. (LIST OF THE FLESH verse 19-21a) … immorality, impurity, sensuality, idolatry, sorcery, enmities, strife, jealousy, outbursts of anger, disputes, dissensions, factions, envying, drunkenness, carousing, and things like these. If we live by the Spirit, let us also walk by the Spirit. Let us not become boastful, challenging one another envying one another. Don’t we need to really understand what each of the” flesh” words mean. So we can determine if we are doing any of them? We want to make sure we have crucified the flesh. This is so insightful to have such a list and to be able to examine it, to see if we have them in our lives. Everything is written in God’s word so that we learn from it. It is not just words; it is the way we are to live. If we find we are doing one of those fleshly things, we need to see it as wrong and stop doing what hurts God. He wants us to live in the fruit of the Spirit. I see this as a wonderful daily devotional for the whole family to learn who and what we are before the Lord.